At an all-staff meeting, Vanderwilt held back tears as he announced he had some "personal news" to share. He then said he was unable to read a prepared statement, so KUTX DJ Laurie Gallardo read it for him. "After 18 years, each one of which have been the time of my life, I'm moving on," she said. Vanderwilt will stay on as director through June. Jay Bernhardt, dean of the Moody College of Communication at UT Austin, will name an interim director until a permanent director is hired. "Stewart led the way on so many great projects and initiatives that it’s difficult to name them all. KUT is a vastly different and vastly better place than when he arrived," said Hawk Mendenhall, the station's associate general manager. "I’ve been here with him for 17 years and this is going to be a big change for everyone at KUT and KUTX. I’ll miss him as both my boss and my friend. Colorado Public Radio is very lucky to nab him. He’s leaving a real legacy here in Austin." Vanderwilt joined KUT in 2000 and oversaw the launch of the station's first news department two years later. Under his management, the station has grown into one of the highest-rated public radio stations in markets of its size. Senior Editor Ben Philpott, one of the first reporters hired in the new newsroom, said Vanderwilt had a "very clear goal of what he wanted the newsroom to sound like. He wanted it to be fun and approachable and mirror the vibe of Austin." "KUT's reporters, especially now, feel empowered to take risks with their storytelling to find the people affected by the stories and not just stick to talking heads," Philpott said. "I think that there has been a 'don't be a boring reporter' mentality." In 2013, Vanderwilt helped launch KUT's sister station KUTX, an all-music station. KUTX Program Director Matt Reilly, who has worked with Vanderwilt for a decade, said he's seen the growth of the stations firsthand, "none of which would have been possible without Stewart's leadership. "I have been privileged to have a small part in implementing his vision," he said. "We're going to miss him terribly and we're thankful for his willingness to trust us and give us the resources to do our jobs, which is to represent this booming city we call Austin." 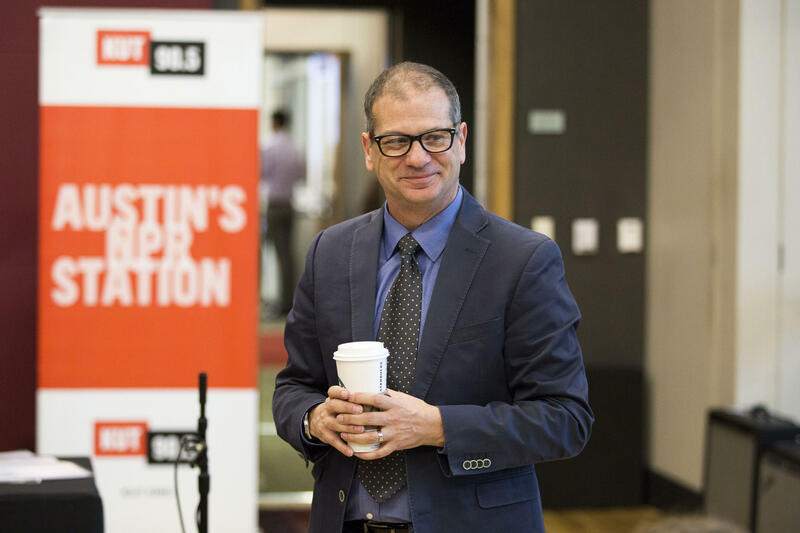 Vanderwilt also helped launch the statewide news magazine Texas Standard in 2015, an hourlong show produced in collaboration with other Texas public radio stations.